From left are Sangjin Park, Professor Young-Woo Park, and Eunjun Jo in the Graduate School of Creative Design Engineering at UNIST. stool.D will be displayed at Dubai Design Week from November 12 to 17, 2018. Their design concept, entitled ‘stool.D‘, is the combination of technology with art and design to create a futuristic furniture that is both stylish and functional. Designed to revolutionize the way people excercise, this breakthrough comes from a recent project by Professor Young-Woo Park and his design team, consisting of Eunjun Jo and Sangjin Park in the Graduate School of Creative Design Engineering at UNIST. stool.D by Professor Young-Woo Park, Eunjun Jo, and Sangjin Park in the Graduate School of Creative Design Engineering at UNIST. “Since launching in 2015, Dubai Design Week has grown to become the world’s largest student gathering,” says Professor Park. “Global Grad Show is a showcase of ideas from the brightest young minds from world-leading design and technology schools, including Harvard, MIT and Royal College of Art (RCA)”. 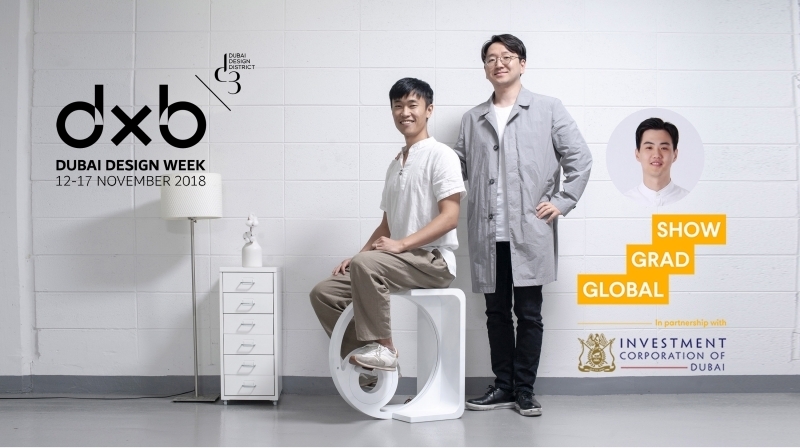 This is the first time the Graduate School of Creative Design Engineering has ever participated to apply for the entry to Dubai Design Week and to receive the honor. Among 150 invited works, 18 were from Asia and two from South Korea, one from UNIST and the other from Samsung Art and Design Institute (SADI). In particular, UNIST’s stool.D has been also nominated as one of the top 10 candidates for ‘Progress Prize’. 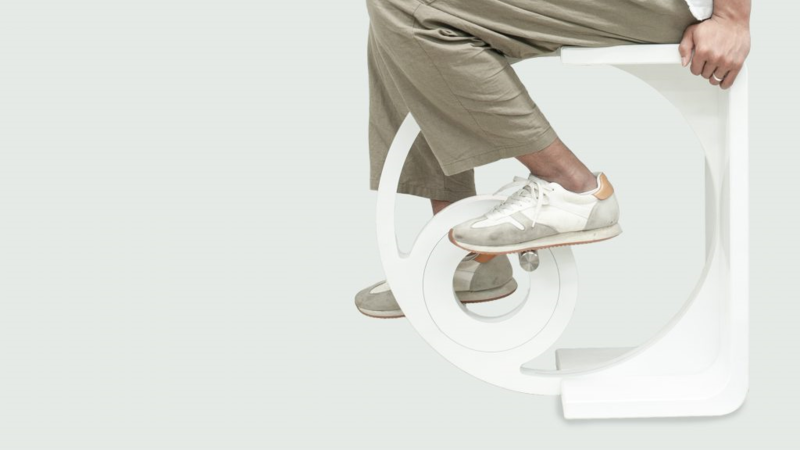 This stylish stool resembles the shape of the alphabet letter D. Users can use this to excercise their legs by simply sitting down and pedalling at their chosen intensity. The curved part is also equipped with LED lights, which can be used as indoor lighting. LED light is rotated according to the pedaling speed, thus adding a fun visual element to this. Meanwhile, Dubai Design Week is the region’s largest creative festival, reflecting Dubai’s position as design capital of the Middle East. The Global Grad Show exhibition showcases forward-thinking ideas selected based on their power to accelerate change and improve lives. The designers themselves will present their ground-breaking prototypes, selected from over 1,000 entries. The exhibition will showcase work from 100 universities, including Harvard, MIT and the RCA, alongside projects from institutions from Chile, Jordan and Pakistan. UNIST Signs MoU with Daewoong Pharmaceutical Co. Ltd.